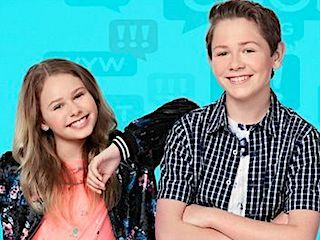 Two middle-school siblings make nearly all of their decisions, from normal to madcap, by crowdsourcing opinions from their millions of followers on social media. 1. 1-1                 11 Oct 18   Would You Wrather Take Your Mom to the School Dance? 2. 1-2                 12 Oct 18   Would You Wrather Have a Hippo? 3. 1-3                 26 Oct 18   Would you Wrather Put a Sock in It? 4. 1-4                 02 Nov 18   Would You Wrather Have Potato Pants? 5. 1-5                 09 Nov 18   Would You Wrather Be the Principal's BFF? 6. 1-6                 16 Nov 18   Would You Wrather Get Lost? 7. 1-7                 30 Nov 18   Would You Wrather Build a Sled? 8. 1-8                 07 Dec 18   Would You Wrather Get a Moose Angry? 9. 1-9                 19 Jan 19   Would You Wrather Be Orange? 10. 1-10                26 Jan 19   Would You Wrather Escape? 11. 1-11                02 Feb 19   Would You Wrather Be the Heart or the Hammer? 12. 1-12                09 Feb 19   Would You Wrather Move to Canada? 13. 1-13                16 Feb 19   Would You Wrather Lose a Luau? 14. 1-14                23 Feb 19   Would You Wrather Have a Beard? 15. 1-15                02 Mar 19   Would You Wrather Catch a Fish? 16. 1-16                09 Mar 19   Would You Wrather Take a Worm Shower? 17. 1-17                16 Mar 19   Would You Wrather Wreck a Record? 18. 1-18                23 Mar 19   Would You Wrather Back Down? 19. 1-19                30 Mar 19   Would You Wrather Have Dance Face? 20. 1-20                06 Apr 19   Would You Wrather Just Dance? 21. 1-21                13 Apr 19   Would You Wrather Help a Wrather?